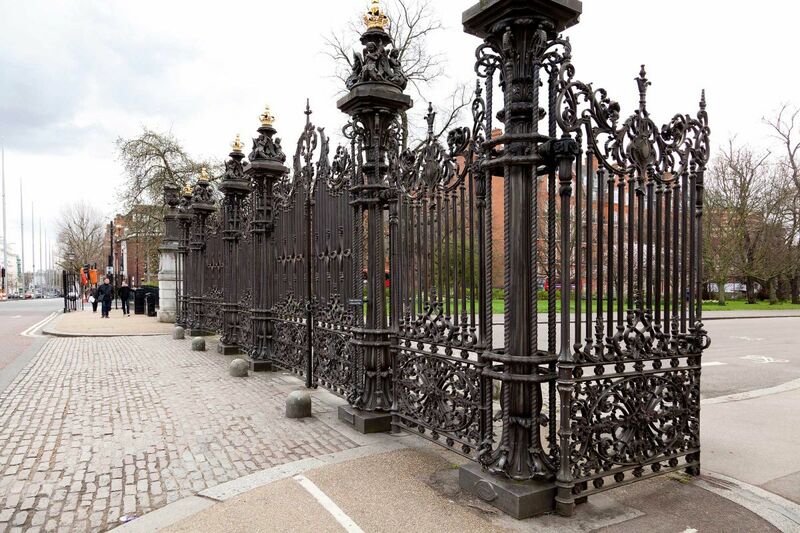 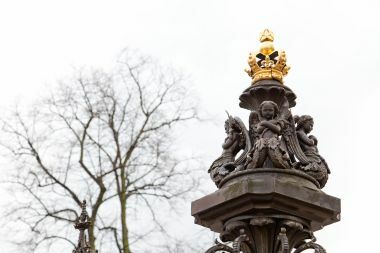 The Coalbrookdale Gates, located at the south end of West Carriage Drive, are large bronze-painted cast iron gates made by the Coalbrookdale Company for the Great Exhibition of 1851. In 1871 they were moved to their current location during the construction of the Albert Memorial. 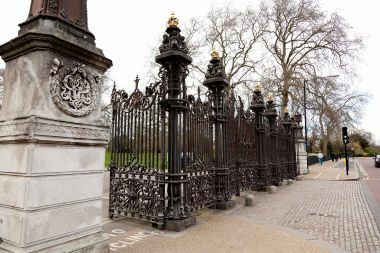 The gates were designed by Charles Crookes. 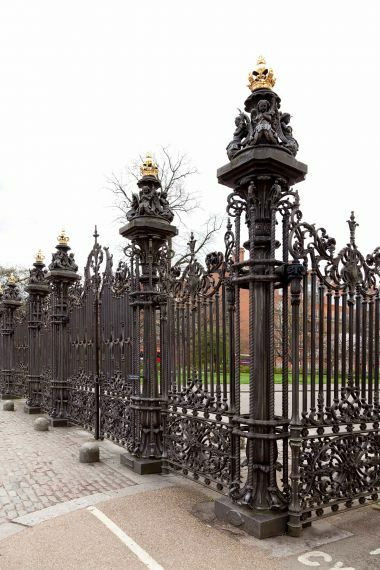 Each of the cast iron gates was cast in one piece. 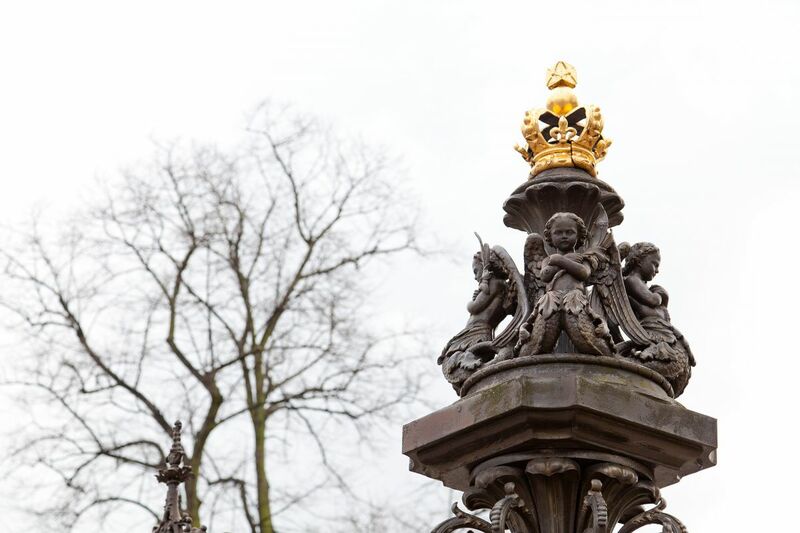 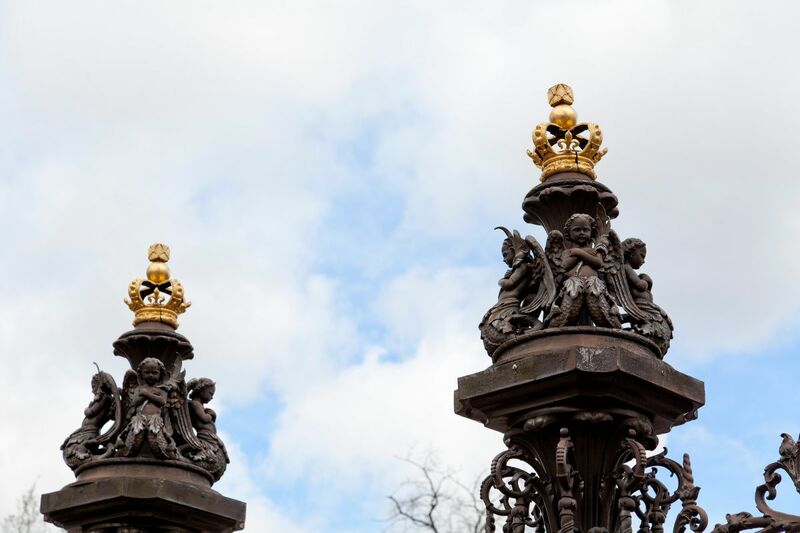 Their finials, supporting a crown, represent peace and the stags' head vases evoke the origins of the park. The gates were damaged by a bomb in World War II.